These were the ingredients chosen to create the perfect little walker hunters! 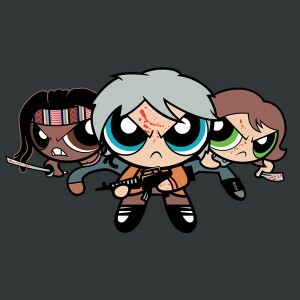 Thus, the Walkerpuff girls were born!! Using their ultra-super powers, Carol, Michonne, and Maggie have dedicated their lives to fighting walkers and the forces of evil!